Professor Munneke was a prolific speaker and writer, authoring law review and journal articles as well as chapters and entire books on professional identity and choices and the legal profession. His most recent works included The Essential Formbook: Comprehensive Management Tools for Lawyers, Volume IV (2004), Law Practice Management in a Nutshell (2d ed. 2003) and Nonlegal Careers: In the Private Sector, Fifth Edition, ABA Career Series (2007 edition with Willliam D. Henslee and Ellen Wayne). The full announcement is here. A memorial page is here. 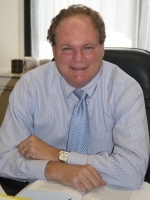 Gary was well known for his work on committees of the American Bar Association and the New York State Bar Association. He also was a member of the Feminist Law Professors blogroll. On at least two occasions, Gary fielded a less-than-happy phone call from a disgruntled bar colleague who didn’t like something on this blog…usually a post by me (such as this one) critical of some activity of the organized bar. Gary’s reports of these phone calls were the starting points for some of the most wide-ranging, funny, realistic, engaged conversations I have had over the years with colleagues. Gary truly believed that all work of the legal profession — from the organization of the ABA to the professional habits of the solo practitioner to the writing of the law professor blogger — could be improved through civil discourse. He encouraged my blogging, and if he didn’t agree with some things I said, he wasn’t afraid to state his views. He always did so in the kindest and most engaged way, though. In talking to Gary, I always felt he heard me, that he considered my views and that we walked away from any conversation better for having had it. That’s not to say Gary suffered fools; his polite remarks in faculty meetings sometimes were followed up with a good eye roll in private. I will miss my colleague Gary Munneke very much.